Here you will find some of the Music Chest winners who have gone on to important careers in music and dance locally, nationally and internationally. Joe Allessi Jr. is principal trombonist with the New York Philharmonic. Joe studied with his father, Joseph Alessi, prior to continuing his musical training at Curtis School of Music. 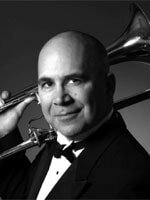 Before joining the New York Philharmonic, Mr. Alessi was second trombone with the Philadelphia Orchestra. Joe is a member of the faculty of The Juilliard School of Music. He has performed as soloist since 1990 with the New York Philharmonic and in concert all over the world. Terrie Baune is the concertmaster of the North State Symphony, co-concertmaster of the Oakland East Bay Symphony, and a member of the new music chamber ensemble, Earplay. Her professional credits include membership in the National Symphony of Washington D.C., the Auckland Philharmonia, and over twenty years as concertmaster for the Women’s Philharmonic. She is a graduate of Oberlin Conservatory and winner of the Oberlin Concerto Competition, the Marin Symphony Association Award, and the Fischoff Chamber Music first prize. Joanna Berman, principal ballerina with the San Francisco Ballet, recently retired after 19 years in the company. She credits Anita Paciotti as well as other dancers in the company, Muriel Maffre, Evelyn Cisneros and Yuri Possokhov, as mentors and a source of inspiration. 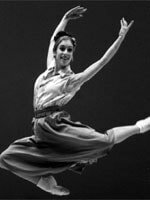 Joanna trained at the Marin Ballet under Maria Vegh; other teachers include Christine Walton, Grace Dody, Margaret Swarthout and Jocelyn Vollmer. She continues to dance in various Bay Area venues. 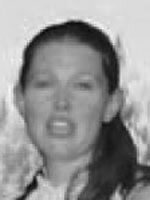 Emily Bercos-Hickey (Academy Math - MAP) Emily grew up in Novato, California. She attended college in Minnesota, where she volunteered as a tutor and teaching assistant in the mathematics department. At present Emily is employed as a teacher in Hawaii at a school called Punahow School. Emily has played flute for twelve years. She enjoys participating in chamber music groups and orchestras. In college, she tried different kinds of dance, allowing her to experience music in a new way. 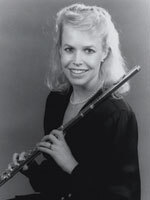 Emily received her Marin Music Chest scholarship for flute in 1997. Yerdua Caesar-Kaptoech received her first scholarship on violin in 1994 .She studied with Taras Gabora while attending San Domenico Girls School in San Anselmo. Yerdua has been the featured soloist at the NANM Conference in Philadelphia, the Barge Music concert series, and the 1992 NAACP conference. She held the position of Concertmaster of the Orchestra de Camera and has been a member of the Oberlin and San Francisco Youth Orchestras. Yerdua is also an award recipient from the NANM, the Lervernia McArthur Competition. 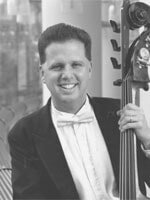 Charles Chandler is a string bass player and a graduate of Tamalpais High School. As a student he participated in the Youth Orchestra of Marin as well as the San Francisco Youth Orchestra. Locally he studied double bass with Shingi Oshima. He participated in Tam’s winning trip to Vienna in 1982 and attended The Juilliard School of Music in New York where he studied with David Walters. While he has performed all styles of music, he is currently a member of the string bass section of the San Francisco Symphony. Lois Clymer started her professional career at the age of 15. Lois received her first Marin Music Chest scholarship in 1966. She studied with Donald Carroll, Mitchell Lurie and Thea King, winning numerous prizes and scholarships. 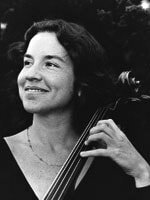 Her studies were encouraged by Colin Hampton, cellist of the Griller Quartet, with whom she studied chamber music and Frederick Fennell, conductor of the Eastman School of Music Wind Ensemble, for whom she played solo clarinet. 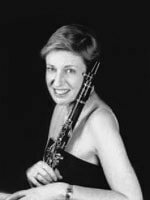 She taught for several years at the San Francisco Conservatory of Music and was principal clarinet of the Marin Symphony and the Berkeley Symphony. 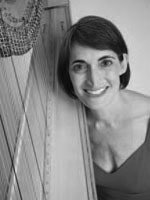 Now making her home in the south of France, she has freelanced extensively in the areas of chamber music, opera, oratorio and wind ensembles in San Francisco, Los Angeles and London. Since 2003, Lois has been co-soloist with l’Orchestre d’Harmonie de Nice. 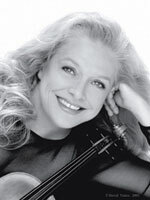 Carol Tomlinson Cole has served as associate concertmaster of the Florida Philharmonic and Florida Grand Opera. She was a winner of the San Francisco Young Artist competitions and made her San Francisco Symphony debut at age 13. Carol combines her professional performance with teaching violin and chamber music at Lynn University Conservatory of Music in Boca Raton, Florida. Jennefer Steele Conner is a flutist with the Pittsburg Symphony. Previous to her appointment by former PSO Music Director Lorin Maazel, Ms. Conner performed for five seasons as Principal Flute of the Charleston Symphony in South Carolina. 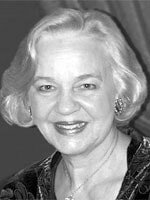 While working towards her bachelor’s degree at The Juilliard School, Ms. Conner studied with flutists Jeanne Baxtresser and Julius Baker. In addition to performing, Ms. Conner continues training the next generation of flutists by her past and present association with Carnegie Mellon, Indiana, and Duquesne Universities. Jennefer is a contributing author for “Flute Talk” magazine. Claudia Cummings is an opera singer who has appeared all over the world. In her twenty-five year career, Ms. Cummings performed as a principal singer in the New York City Opera and sang with the Chicago Lyric Opera and San Francisco Opera. Recently Claudia played the Mother Abbess in “The Sound of Music” on Broadway and on national tour. Mount St. Mary College recently conferred the Honorary Degree of Doctor of Humane Letters. Claudia is now the Director of Festival Theatre of New York and Conductor of the Newburgh Symphonic Chorale. 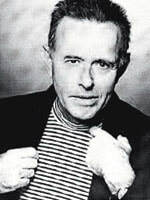 David Del Tredici pianist and composer of international fame, studied piano locally with Bernard Abromowitsch in Berkeley. While still a student performer, he received the Kimber award and later graduated from University of California at Berkeley. His music has been commissioned or performed by nearly every American and European orchestra. David came to prominence as a composer with a series of works based on Lewis Carroll’s “Alice” books. He was awarded the Pulitzer prize for “In Memory of a Summer Day” in 1980. In 2007 his “Paul Revere’s Ride” was nominated for a Grammy. Timothy Ehlen, assistant professor of piano at University of Illinois, has performed extensively in the United States and Europe. Recent recitals include Weill Hall at Carnegie Hall, the Cleveland Orchestra Schubert Bicentennial Series, the International Franz Liszt Festival in France, Bosendorfer Hall in Austria, and the Kum Ho Art Hall in Seoul, Korea. 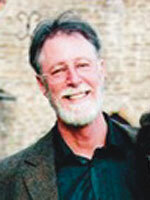 Timothy Ehlen served on the international jury of the 1998 and 1999 World Piano Competition in Cincinnati. Michael Gerling recently retired from the violin section of the San Francsico Symphony. 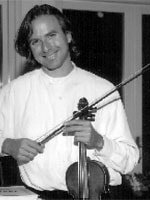 Growing up in Mill Valley, Michael was a student of Frank Hauser and was awarded a Musicians Union Local #6 grant to participate in a national string workshop for young professionals. His interests include chamber music as a member of the Marin Arts Quartet. Michael serves on the Board of Marin Music Chest. 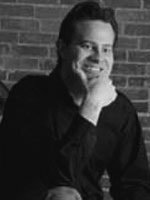 Robert Elkjer is a music composer, specializing in brass music and piano music. 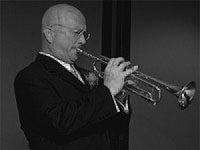 He studied trumpet with Joseph Alessi Sr. and Eugene Blee (Cincinnati Conservatory), and composition with William Thomas McKinley (New England Conservatory). He has an extensive catalog of arrangements and compositions for various brass ensembles. He received his first Marin Music Chest scholarship in 1974. Mr. Elkjer resides in San Rafael, California. Leighanna Edwards, living in Maui, Hawaii is an actress and lyric soprano. Originally from Point Reyes Station in California, she now lives in Maui, Hawaii. While in Marin County she studied with Kristin Womack. She received her Bachelors in Fine Arts and Musical Theatre from Notre Dame de Namur University. She received her Marin Music Chest scholarship in voice in 1999. 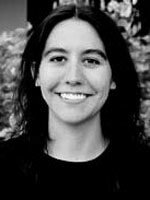 Mira Frisch is an Assistant Professor of Cello at the University of North Carolina at Charlotte where she also directs the string chamber music program. 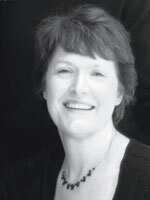 She has performed as a recitalist and chamber musician throughout the United States and in Bermuda, Italy, and France. She can be heard as a guest artist on the compact disc There Lies the Home, produced by the renowned vocal ensemble Cantus. As a member of Duo XXI, with violinist Anna Cromwell, she recently commissioned six new works for violin and cello that were performed throughout the Midwest and Southeast. She previously taught cello and chamber music at Truman State University and at the Festival Musicale della Toscana in Italy. Dr. Frisch has performed with the Charlotte Symphony Orchestra and the Charlotte Philharmonic. Dr. Frisch hold degrees from Saint Olaf College, The Cleveland Institute of Music, and the University of Minnesota. Her former teachers include Tanya Remenikova, Richard Aaron, and Irene Sharp. 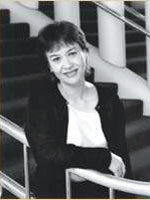 Mira received her first Marin Music Chest scholarship in 1994. 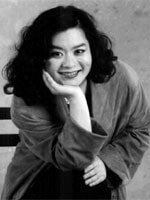 Satomi Hofmann received her Marin Music Chest scholarship in 1989 on piano.. She is currently performing with the USA tour of “The Phantom of the Opera” and appeared regularly in the Broadway production of Phantom throughout 2009. Before moving to New York City, Satomi starred as “Soap Star” in the Las Vegas production of “Menopause, the Musical”. She was one of the music directors of the opera program at the Venetian Resort Hotel and Casino and frequently directs various local productions. Satomi grew up playing classical piano and won several awards and competitions for her playing, including the prestigious Pepsi Cola Young Musician’s Award. After discovering her deep love of theater, Satomi began performing as an actress and singer as well. Rebecca Jones is a recipient in voice but could have won easily as a dancer. Her career in stage and television included two years as a dancer/singer on the Dean Martin Show as well as various theatrical productions in the San Francisco Bay Area and Las Vegas. Rebecca is still an active professional singer/ dancer and maintains a teaching studio in San Rafael. 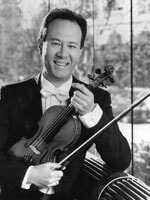 Mark Jordan has been concertmaster Modesto Symphony for 25 years and associate concertmaster, Marin Symphony for 10 years. He has performed as soloist with both orchestras. Mark graduated from Dominican University and took additional studies at the Royal Conservatory of Belgium. He has also been a member of the Royal Flemish Opera Orchestra, Marin Arts Quartet, San Francisco Spring Opera Orchestra, and the Carmel Bach Festival Orchestra. Scott Kluksdahl made his debut with the San Francisco Symphony. He has been heard since as orchestral soloist, recitalist and chamber musician in major metropolitan centers throughout the United States, Europe, Israel and Latin America. Recipient of the Tanglewiood Music Center’s Leonard Bernstein Fellowship, he holds a BA Degree in English and American Literature from Harvard University and a Masters Degree from The Juilliard School of Music. He serves as Distinguished Scholar at University of South Florida. His principal teachers were Margaret Rowell, Joel Krosnick, William Ploeth and Leonard Rose. 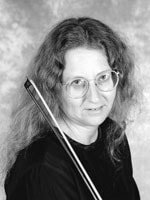 Wendy Eisler Kashy, flute, was a frequent performer in Marin playing chamber music with her father Arthur, a pianist and master piano tuner. She graduated from Julliard and shortly after emigrated to Israel where she became involved in the Jerusalem Israeli Trio. They currently perform throughout Europe, the Middle East and the North and South America. Her trio recently performed in Marin County where she did a solo recital as well. Wendy received her first Marin Music Chest scholarship in 1958. Gerard Leclerc, cellist, A Redwood High School graduate, completed his basic instruction in San Francisco then traveled to Europe to further his musical knowledge. He studied extensively with Jacqueline du Pre in London and Pierre Fournier in Geneva. Since his London Wigmore Hall debut in 1981, he has made numerous concerto appearances and recordings. Gerard currently resides in Geneva, Switzerland, and plays a cello chosen for him by Jacqueline du Pre of Giovanni Cavani dated 1883. Monica Maguire, was principal cellist, Santa Rosa Symphony. Half of the only mother/daughter scholarship winning team, Monica is the daughter of one of our earliest winners, Jean Mattos Maguire, who is now deceased. She began study with her mother and eventually entered the Curtis Institute in Philadelphia. While there she was roommate to another winner, Wendy Tomlinson. 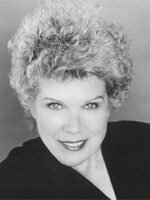 Monica free-lanced with several orchestras including the Marin Symphony. Illness forced her premature retirement. Nicholas Marlowe served as concertmaster of the Marin Youth Orchestra but soon transferred from violin to viola. 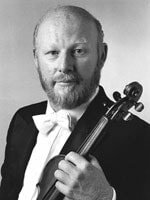 A former member of both the Washington D. C. National Symphony and of the Aukland Philharmonia, he is now retired as principal viola with the North State Symphony based in Chico. Nick has the unique distinction of being the only scholarship winner married to another scholarship winner, Terrie Baune. Jane Marsh is a singer who discovered her talent late in high school and went on to study at Oberlin Conservatory. Immediately after graduation, Jane entered the Tchaikovsky Gold Medal competition for voice in Moscow and captured First Prize. An active career followed, including her opera debut in Spoleto Festival of Two Worlds under Thomas Schippers. Concert Orchestra and television engagements were a result of her success. Jane is still active in music circles in New York City, giving many performances. Jane studied locally with Bella Resek. Jean Maguire Mitchell, deceased, was awarded a Marin Music Chest scholarship in 1938, one of the earliest. 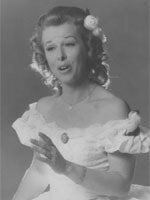 Jean was a pupil of Boris Blinder and performed with the San Francisco Symphony for 35 years. 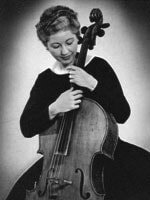 In 1951she was one of the principal founders of the Marin Symphony and served as its first president and principal cellist . Her musical career covered all aspects of performance venues. Jean was one of the co-founders of the Marin Arts Quartet with Charles Meacham and played in the group for 40 years. In addition to maintaining a teaching studio in Mill Valley, Jean worked as an assistant string coach for the College of Marin Community Orchestra. 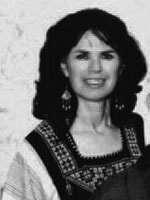 Wendy Tomlinson Morton is a graduate of Curtis Institute in Philadelphia. While living in Marin, she studied with Margaret Rowell. 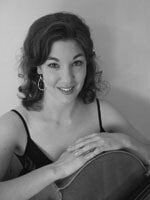 She is assistant principal cellist of the Columbus Ohio Symphony and is on the faculties of Ohio Wesleyan and Capital Universities. She is a member of the Carpe Diem Quartet as well as other chamber groups. Hai Ye Ni is one of the most accomplished young cellists of our time. Hai-Ye Ni made her New York Philharmonic debut in December 2003. Miss Ni first came into prominence at her debut in Alice Tulley Hall in 1991. She was soloist with the Marin Symphony this April and was the winner of the prestigious 2001 Avery Fisher Career Grant. Hai-Ye attended San Domenico School in San Anselmo. She will return to Marin again this Fall as recitalist for the Mill Valley Chamber Music Society. Paul Rhodes, cellist, performs with the Oakland-East Bay Symphony, for whom he also works in the Oakland Public School through their MUSE program, and the Carmel Bach Festival. 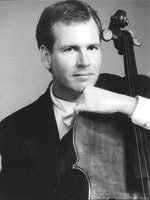 Paul spent the 1994-95 season playing with of the San Antonio Symphony and as principal cellist of the Austin Symphony with whom he toured France and Germany. 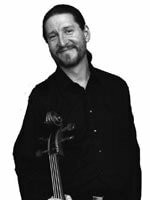 He has performed with the New Century Chamber Orchestra, Orchestra of Santa Fe, Santa Cruz Baroque Festival, and locally with the symphonies of Sacramento, San Jose, Marin, Berkeley, and Santa Rosa. Hugo Rinaldi violinist and founding Conductor of the Marin Symphony Youth Orchestra for 24 years. Hugo was Director of Music Programs in San Rafael school system until his retirement and was responsible for teaching the San Rafael High School- Orchestra. For years a performing musician, he served as assistant conductor for the San Francisco Civic Light Opera Company. He was the founding music director of the Marin Opera Company. Corinne Swall received her scholarship for voice in 1948. 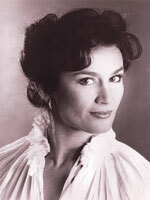 A graduate of the Juilliard School in New York, she sang lead roles: NBC TV Opera & Philadelphia Opera Company. 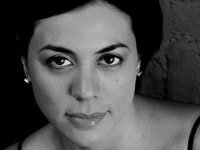 She was soloist, Philadelphia Orchestra, singing Mozart and Heitor Villa Lobos' “Bachianas Brasileiras 5”, plus world premier of his songs, the composer conducting. Starred in the Carre Theatre in Amsterdam, Holland. She was soloist with the San Francisco and Oakland Symphonies. Ten years, on the music faculty, University of California, Berkeley. Swall founded Mother Lode Musical Theatre, whose California cultural history programs toured Alaska, Australia, Canada and the 14 Western States. They won National Cable Television's Best Single Program Award and the National Endowment for the Arts tribute: "part museum, part contemporary arts." 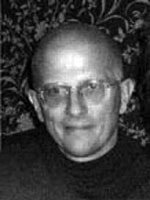 Swall wrote the libretti for several operas, among them: “Voices of Calafia”, “Gambling Jones” & “Coyote and the Human People”. Currently, Corinne is a member of the Marin Music Chest Board. Mariko Smiley began taking violin lessons from her father, David Smiley, when she was six. Prior to attending college, she studied with Stuart Canin and Leonard Austria. She has both a BA and an MA from Juilliard where she studied under Dorothy Delay. She freelanced before winning a position in the San Francisco Symphony Orchestra first violin section in 1982. In addition to orchestral playing, Mariko performs in many chamber music concerts including the symphony’s Sundae’s Concerts series. Dan Nobuhiko Smiley, principal second violin, San Francisco Symphony studied at The Juilliard School in New York under Ivan Galamian and Sally Thomas. He began study with his father, David Smiley, a former member of the Symphony, and continued with Stuart Canin. He served as associate concertmaster with the Oakland Symphony under Calvin Simmons. He has appeared as soloist with the Berkeley, Marin and San Francisco Concert Orchestras and has participated in both the Carmel Bach and the Cabrillo Festivals. Dan plays a Peter Guarnerius violin of Venice 1730. Bert Truax received his Marin Music Chest scholarship in 1965. Bert was second trumpet of the Dallas Symphony from 1976-2000. He began playing the trumpet at the age of seven, and when was 10, studied under the tutelage of Joseph Alessi, Sr. He later studied with James Stamp, Tom Stevens, and Bill Adam. At the Curtis Institute of Music, he studied with Gilbert Johnson and Frank Kaderabek. In 1986 he was invited by audition to play second trumpet with the Philadelphia Orchestra for the first half of their 1986-87 season. ​A published composer, Truax’s works are recorded on Crystal Records. His three movement Fantasy for Trumpet and Orchestra was commissioned by the Dallas Symphony for thenp principal trumpet, David Bilger. Bilger has also performed the third movement with the Philadelphia Orchestra. 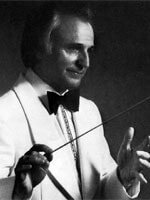 Joseph Alessi premiered a commission from the International Trombone Association in 2000. Other commissions have included works for the trumpet section of the West Point Band. 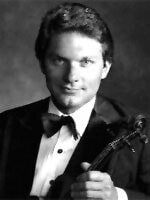 Christopher Whiting, violinist, was one of two winners in the Marin Music Chest Young Artist Awards in 1993. Chris studied at the San Francisco Conservatory of Music and is a 1991 graduate of University of California at Berkeley. He continued his studies at the Lucerne Conservatory of Music in Switzerland, where he received the Konzertreifediplom in 1994. Since October 2000, he has been teaching at the Musikhochschule Winterthur and is conductor of the Orchestra of Wiedikon in Zurich. 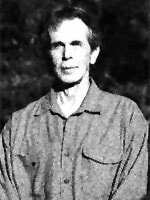 His principal teacher here in Marin was Serbin Ruso.